I apologize for not being more timely with these updates. I have spoken with all members who have inquired about bargaining developments, but I should have posted the following updates sooner. Please feel free to contact myself or any member of the bargaining team if you have questions. And feel free to post your comments below. REPRESENTATIVES OF THE GUILD newsroom unit and management met May 8, 9 and 24. Freezing our local pension plan. Elimination of the 401(k) match. Modifying layoff language to something other than straight seniority in job title. The new Assistant Editor position. 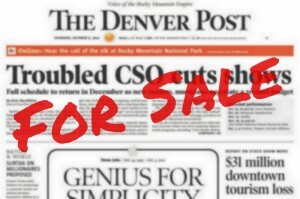 YourHub wage increases and use of YourHub staffers for The Denver Post. Adding Viva Colorado staffers to the newsroom unit. Guild membership as a condition of employment. Allowing funeral leave to be taken later than one week after a death. Under our current contract, all funeral leave must be taken within seven days of a death. Purchase and/or reimbursement of newly required equipment — primarily smart phones and data plans. Paid parking for employees on the breaking news team. A subcommittee was set up to discuss in detail a possible performance-appraisal system. Before the May 24 bargaining session, the subcommittee met twice. Most of the May 24 bargaining session was taken up by a report from the subcommittee and subsequent discussion regarding performance appraisals. The subcommittee met again on May 30. We have not set a date for our next bargaining session.